Electronic commerce draws on technologies such as mobile commerce, electronic funds transfer, supply chain management, Internet marketing, online transaction processing, electronic data interchange (EDI), inventory management systems, and automated data collection systems. Modern electronic commerce typically uses the World Wide Web for at least one part of the transaction’s life cycle although it may also use other technologies such as e-mail. Typical e-commerce transactions include the purchase of online books (such as Amazon) and music purchases (music download in the form of digital distribution such as iTunes Store), and to a less extent, customized/personalized online liquor store inventory services. The first valid e-commerce was conducted back in 1994, and since then the e-commerce industry has never looked back. With an upline of 23%, the e-commerce market has been growing annually. However, irrespective of the benefits that e-commerce offers in the 21st century, there is bottleneck issue of system security, reliability or standards owing to poor implementation of e-commerce. It is almost impossible to ensure the security or privacy on online transactions; and this has caused countless people like me to lose a lot of money to online fraudsters. It got so bad that every single minute that passes, somebody is being robbed. The fact that e-commerce has become an easy route to market poor quality or damaged goods to customers is another challenge which is quite predominant, amongst others. And this has caused lack of trust in the industry. Well the good news now is that e-commerce just got better, bigger and most secured. A team of tech-savvy and innovative minds has unveiled a Blockchain technology solution that will curb all the challenges of the existing e-commerce. This revolution is n the name of Apollox. Apollox is a decentralized platform that employs the functionalities of Blockchain technology into the e-commerce industry. The mass of people patronizing this industry are desperate for quality goods, especially across borders and this amongst other factors has lead to inflation of prices so much that it affects both the merchants and the consumers. The focal point now is on making large gains/profits, and not efficiency. Apollox will be using employing decentralization (of the online marketplace) to eradicate these big companies, in order to reduce the high cost of trading online and shielding consumers against online frauds. This will be achieved by conducting a peer-to-peer transaction and by the Apollox protocol, whereby all transaction-detailed information would be secured in the Blockchain to eliminate falsification of data from both sides. This ensures a lot of transparency in passing judgement and concluding transactions. This is all about a decentralized e-commerce community, whereby a smart contract system controls all financial transactions and personal data. Apollox Protocol is a multifunctional system having all the important e-commerce transaction tools like the oracle, payment protocol, data protocol, reputation and arbitration protocol etc. in the process of an ongoing transaction, the attribution protocol handles all traffic issues. 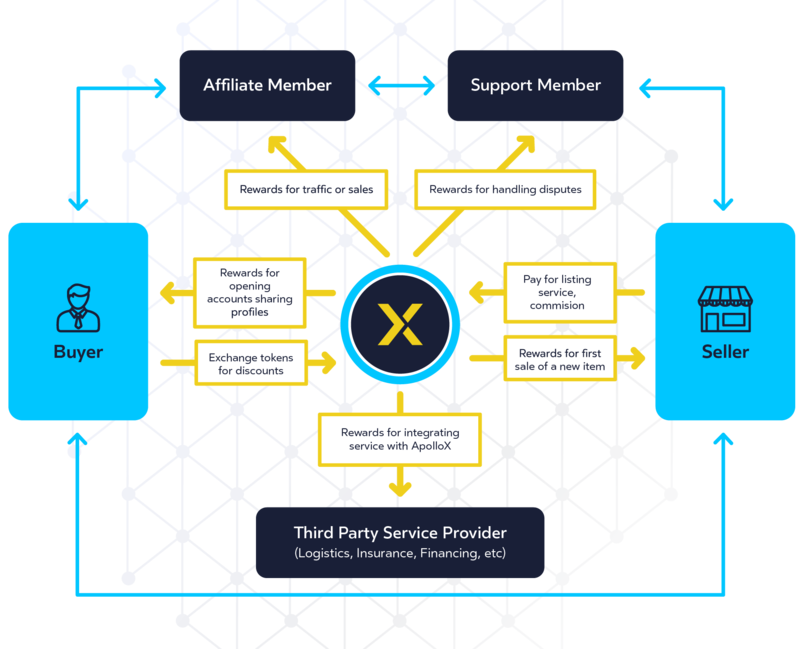 APXT is the official token designed to facilitate all transactions within the Apollox ecosystem; and uѕеrѕ wоuld bе еnсоurаgеd tо асtіvеlу асԛuіrе APXT tоkеnѕ. 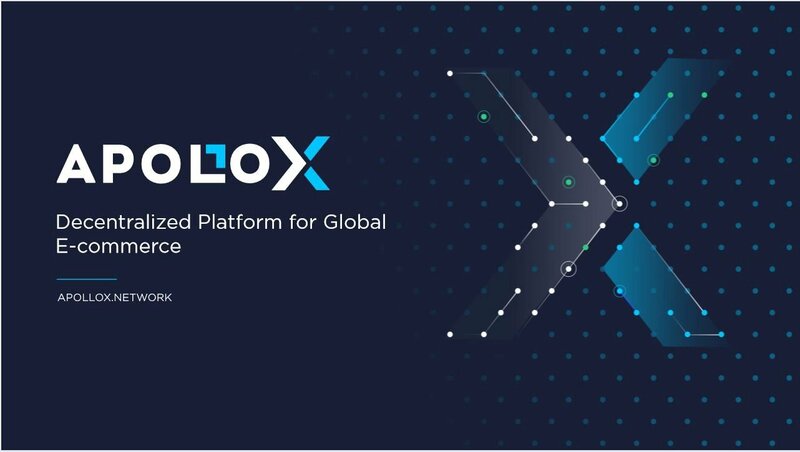 Apollox is a platform for building decentralized e-commerce applications and services on blockchain, bringing quite a revolution to the e-commerce industry, with a new model of absolute shopping protection, data security and less commission. This is just that kind of project with a wonderful ICO that you just cannot afford to miss out of. For more information, and to join us, please do well to follow the links provided below.